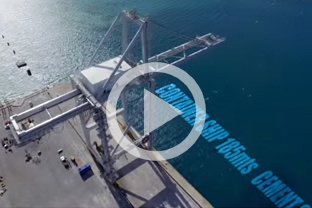 About | Aruba Stevedoring Company – ASTEC N.V.
Aruba Stevedoring Company (ASTEC) was founded in 1983 as part of the necessity to upgrade and modernize the port of Aruba to accommodate the further containerization of cargo. These upgrades consisted amongst others of constructing the harbor which we currently have in Oranjestad. In order to formalize the stevedoring (cargo handling) services at our ports, ASTEC was founded under a concession agreement with the Aruba Ports Authority (APA). As part of APA’s strategic plan, supported by the government of Aruba’s vision, to separate the cruise activities from the cargo handling activities in Oranjestad, APA launched a comprehensive international tender process in 2011 to select a partner to design, build, finance, operate and maintain a new Multi Cargo Sea Terminal in Barcadera under a long term concession agreement. As the successful bidder of this tender, ASTEC is currently proudly undergoing the transformation from stevedoring company in Oranjestad to a fully equipped and modernized Multi Cargo Sea Terminal Operator in Barcadera. ASTEC’s motto is that “the show (service) must go on……safely and sustainably” and we truly keep the services going 24/7 with our dedicated employees and ample well-maintained equipment hereby contributing significantly in maintaining the flow of goods feeding our economy. Our services are focused on a broad variety of cargo, ranging from servicing “barquitos” (small wooden vessels) which supply amongst other fruits & vegetables, to containers on regional feeder vessels. In between we handle break bulk materials like cars and specialized cargo such as oversized vehicles and windmills, yachts and heavy equipment for specialized construction services on island. ASTEC also handles the unloading of cement and lumber (bundles) and facilitates the import of bulk through the Barcadera Multi Cargo Sea Terminal. In essence, pretty much all sea-borne cargo imported and exported from Aruba flows through our hands. In cooperation with APA, DSA, the Aruban Customs Service, local Shipping Agencies and other stakeholders, ASTEC is striving to further improve its sea-borne cargo services designated for the Aruban business community and regional transit customers as it has been doing since commencing its operations in 1983.